If I were still keeping count of Fridays (why exactly did I even do that?) Then I would say this is like #25 of 2018. Is that even correct? Part of me is like yeah and the other part is like um no way. Whatever it’s the first Friday of SUMMER (officially speaking) so let’s party down with something fun like margaritas. So my blog has been going through a midlife crisis. Not sure “midlife” fits but let’s go with it, okay? I went from this space to Blogger to this space again. I went from wanting to totally change things up and renaming only to be told (in layman’s terms) that if I wanted a new address I would have to fork up some scrilla to change the address since I only paid for this domain. Uncool, y’all. So I stuck a name on an address that didn’t match and my OCD self could not fathom nor handle it. So hey guys CCK straight up. The whole idea of rebrand has been on my brain all week. So much to go into there. It will create in itself a post and I will share it to my full ability. Take that writer’s block. If you did not know my IG game is kinda strong on a meter of not really strong to sorta kinda getting there strong. I suggest you hop over and find @mrsamandabullard on Instagram where I am way more active. This week has been the week of food. People really love food. Who woulda thunk it? I posted out my dinner I was making on Tuesday night and my DM’s started going off. I always thought it was the comments that meant anything – no it’s the DM’s. DM me all you want people we can talk food or sunscreen all day. Seriously, one person DM’d me and we had a very lengthy conversation about SPF and suntan lotion and I still think she had me confused with someone else. Anybody working this summer? I don’t see how those stay at home mothers do it. I just do not. If I had to stay home with my kids twenty-four hours a day seven days a week I would self-commit myself to the institution. Luckily, work is strong. Work is good. I would like to take a moment to thank a very godly soul named Meredith for being my best agent in the business. 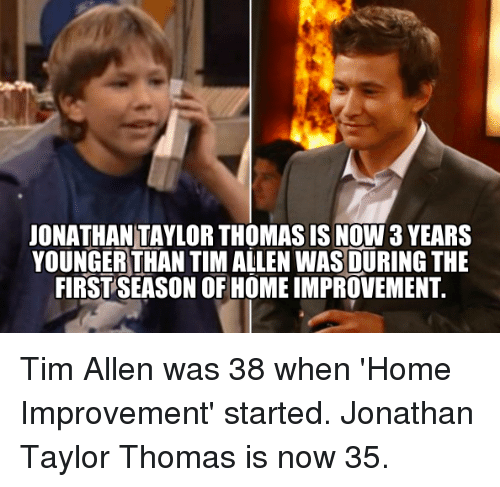 That girl has got me more work than Jonathan Taylor Thomas circa 1994. We survived our first week of real summer break sans vacation. I miss vacation. I have two huge blessings in my life called Sara and Abbey. These ladies are straight up angels from the heavens who I am in awe of. My children think those two are the golden standard and I do too. Please say a sweet little prayer for Abbey as she ventures to do mission work in Puerto Rico helping the hurricane victims next week. Life is better with no bed time and no morning alarm time. I wouldn’t know about that second one since I still have to set my alarm every dang morning. But praise the good Lord for not having to wrangle kids into getting dressed and coming back to the world of being human for a school teacher to impact them in a measurable way. I need to set myself a bed time. I also need to verbalize it so that my husband is aware that as of (certain time) o’clock he isn’t running any noisy electrical tools or deciding that 11:45pm is a great time to start a conversation or deep clean his closets and cabinets. Being that this is Friday I figure you all have really fab plans for your weekends. Real world me is just going to say that I hope to hell I can get a new bra that actually fits and keeps the contents in the carton if you get what I am saying. I’m not sure what is going on with my girls but they are not what they once were. I haven’t hit that middle age sag and set but I have hit a chest growth spurt and it’s kind of freakish if you ask me. I didn’t expect this to happen after I was finished birthing babies and oh ya know twenty years removed from puberty. Other than that I just plan to get my eldest kid all packed up for camp. Yep, that fabulous week of her getting her spirit reignited and wandering a college campus for five days has arrived. So let’s slide in a prayer for Mrs. Karen as she takes a van load of tweens to church camp this week. That woman is a modern day protestant saint. I have to make a grocery list. Have yourself a happy little weekend. Next postBOY Week Begins NOW! My work is complete. You have a great one too! I laughed about poor CCK having a mid-life crisis! Hope her “designer” gets over her writer’s block soon! Midlife at three LOL bad news for sure. Next week I have goals. As long as they don’t flutter away I may be in the clear. Please try the new x temp bra by Hanes at Walmart or on Amazon. It is $12 ish dollars and supposed to keep you cool. It has no underwire but it holds you up. My only complaint is the straps could be a bit wider. I’m sorry for your blog problems. That’s frustrating! I actually ended up getting a Warner’s bra at Walmart! I really love it. It was like $14 and I was so happy to see Warner’s available at Walmart too! Next time I will totally check out the X Temp! Thanks for the info. I hope you have a great weekend. I need a bedtime and Sunday I am turning off the alarm clock. Sorry the midlife crisis is still going strong. Have a wine filled weekend!